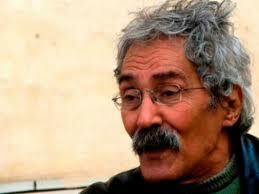 The great Ibrahim Aslan (1935-2012) died yesterday after entering the hospital with heart trouble. He was 77. His funeral will be held today at the Mosque of Bilal bin Rabah in Moqattam, according to Shorouk News. Numerous writers, friends, and readers have expressed their sorrow at the loss. Excerpts of his books in Arabic are available on his Shorouk website. *Allusion to the title of a famous poem from Syrian poet Daad Haddad: I am the one who bring the flowers to his grave. Brilliant, and I do not care how un-PC it is, this is a brilliant video. Even if you find some of this offensive, you cannot say that its assessment of America is anything short of poetry. America, the nation that had it all… now flushing itself down the toilet. It is a mind-numbing, awe-inspiring fall from grace. If the world’s fate were not so intertwined with the fate of this latest imperial manifestation, it would make for the greatest black comedy ever. It is hard to know whether one should laugh or cry. God bless America, she sure as hell is gonna need it. WAS IT POSSIBLE somewhere in Ohio someone could say such things and not be ostracized, denounced, trounced? Actually, no. There really was no campaign. Few in the political business dared have anything to do with him, donate to him, invite him, quote him. Only a maverick Tea Party organizer offered him an evening campaign event. Otherwise, the popular sheriff and then Congressman was pretty much shunned. And yet he came in a close third on Nov.2, 2010, with over 30,000 votes.